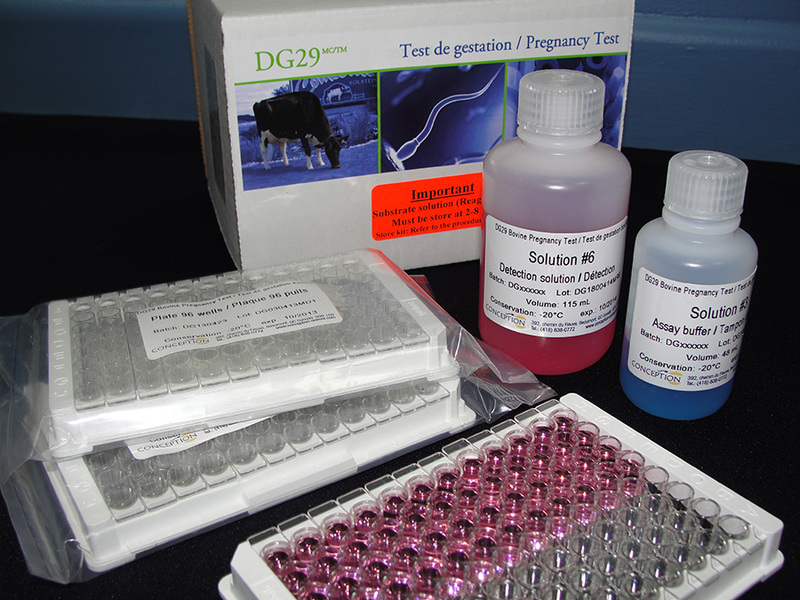 You are a distributor of agricultural or veterinary products and/or you have access to a diagnostic laboratory, Conception is looking for serious partners wanting to expand their product offering by adding our reputed bovine pregnancy tests, DG•Lait/Milk®, DG29®, and DG•Blue Eyes®. 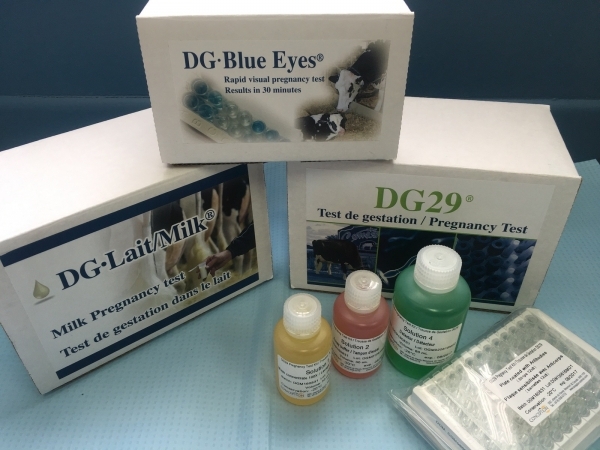 DG•Lait/Milk®, DG29® and DG•Blue Eyes® ELISA Pregnancy Test Kits developed by Conception are available on the international market. Take advantage of this opportunity to expand your business as distributor or as a Laboratory Partner in the growing market of bovine pregnancy testing. • Protocol for the analysis of blood or milk samples. Thanks to the collaboration of its Distributors and Laboratory Partners, Conception's pregnancy tests are used by thousands of producers in Canada, the United States, Mexico and in several countries in Europe and Asia. Contact Conception directly for more information.